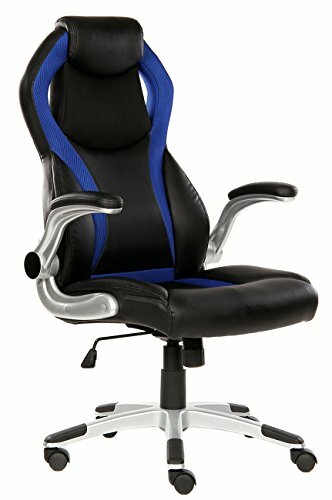 INDIVIDUAL EXTERIOR: Streamline design on the back, Racing style bucket seat, Curved back, this game chair is perfect for your video game room or office. DURABLE MATERIAL: 360 Degree swivel casters, Easy-to-clean PU leather, SGS approved gas cylinder making you having a more stable seating. Need 15-30 minutes to assemble it. ROCKING FUNCTION: The whole chair can rock back and forth by adjusting the knob beneath the seat. It can provide you an extraordinary seating experience when you are playing video games or working. QUALITY GUARANTEE: We are committed to doing every process well from design to completeness for our customer's satisfaction. If there is any question, please let us know directly, we will deal with it immediately.